After a killer 2017, Nintendo are kicking off their 2018 first-party lineup with a return to a classic in the form of the iconic Kirby. 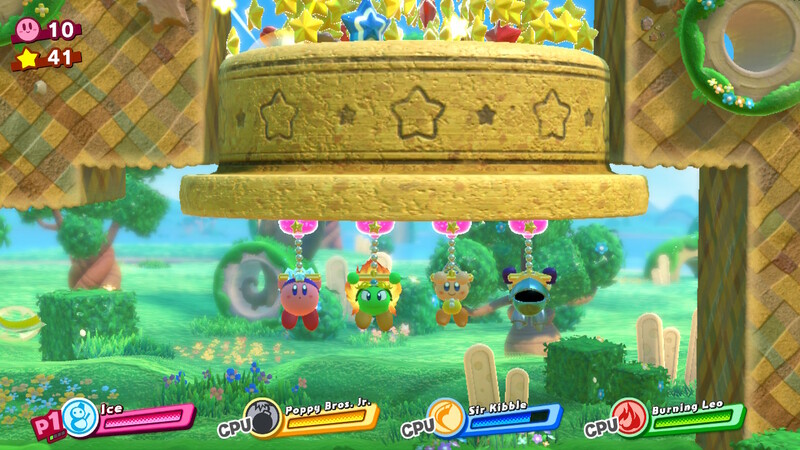 Kirby Star Allies sees the titular protagonist joined by up to three companions on his quest to save Dream Land, and these can be controlled either by friends in local co-op or, if you prefer flying solo, the game’s AI. 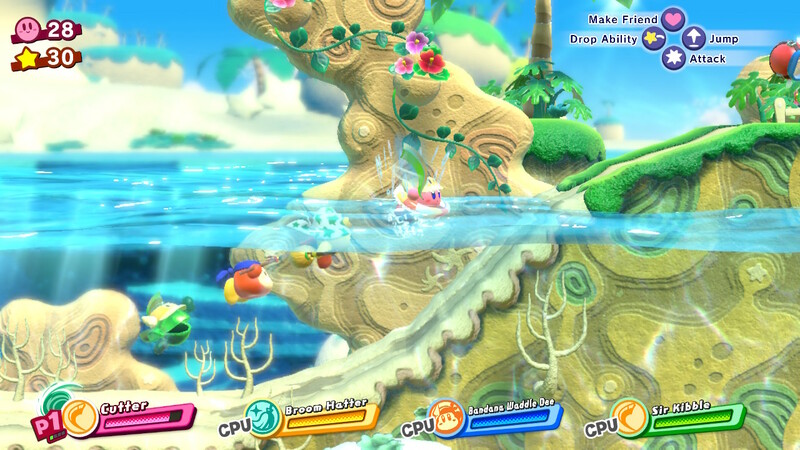 As with previous Kirby titles, the copy ability mechanic makes a return (with some newly added abilities) and you’ll soon be sucking up and swallowing enemies to power our pink hero up. By using friend hearts to turn foes into allies, you can create a squad of heroes who each bring their own skill to the action. This forms the main gameplay hook, and you’ll need to combine the different copy abilities so that you can solve the game’s puzzles, power up your weapons or perform spectacular team attacks. 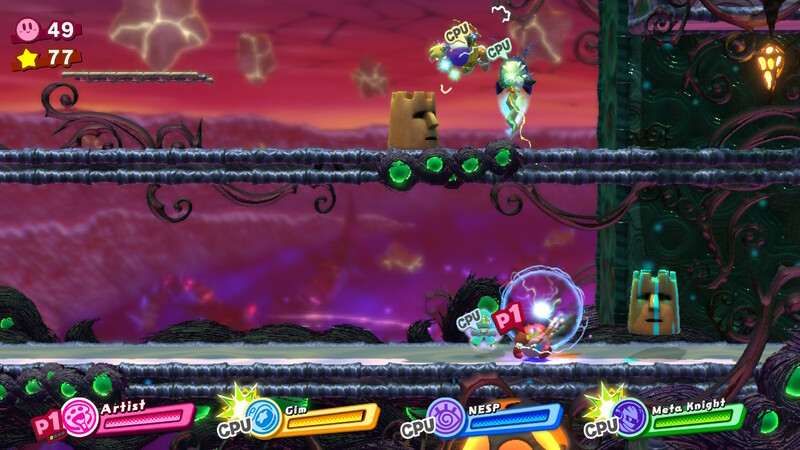 Although the platforming and regular enemies won’t be too taxing, the combining of copy abilities brings a slight strategic element to the table. I played through the majority of the game solo, and my initial worries about how well the game would play with AI controlled characters were soon washed away. 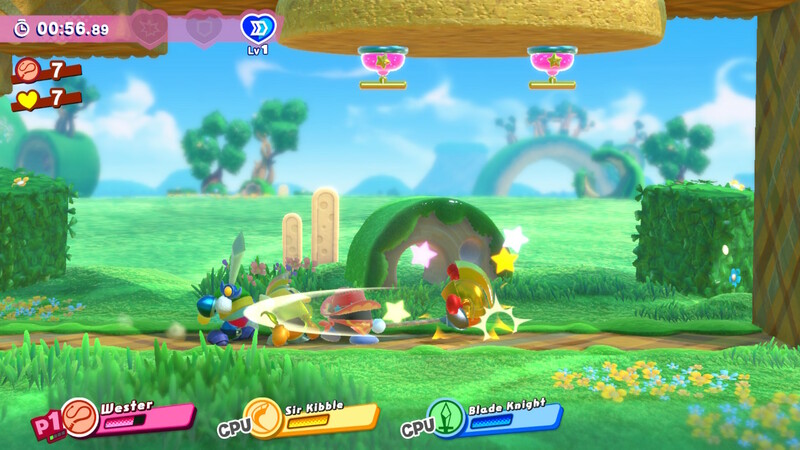 Once you’ve recruited a new ally by throwing a Friend Heart at a nearby foe, they immediately join your squad and get stuck into the action – putting their specific abilities to use and working intelligently with you and the other AI characters as you all march towards the end of each stage. 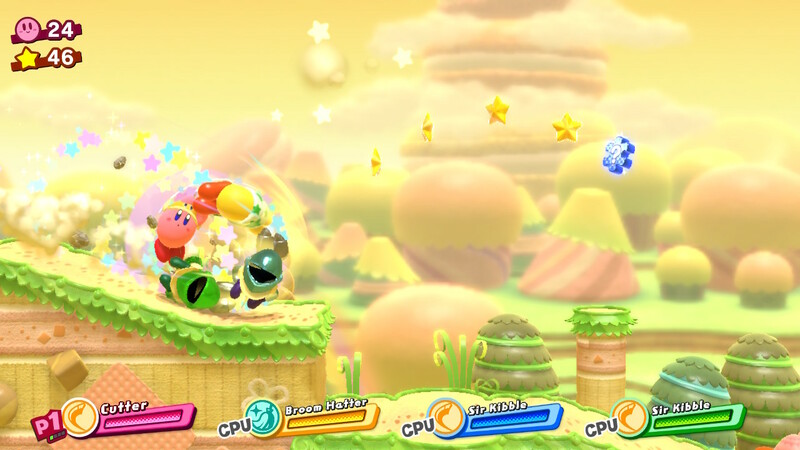 Alongside new Copy Abilities, the game introduces Friend Abilities. Finding a podium within a stage can see you and your allies form a Friend Train and proceed to power your way through the level or getting on each other’s shoulders and making a Friend Bridge – where you may be tasked with helping a comrade across a perilous chasm. This leads into my main complaint, and the only thing I can fault with the game – it is ridiculously easy. Sure, I know that Kirby games aren’t supposed to be tough but I doubt the majority of players will find any kind of challenge here. You can simply stroll through some levels and the AI allies will do all of the work for you. The game is also very generous with its 1-Up system – I finished the game with well over 80 lives left, having died only a handful of times throughout the whole adventure. That isn’t to say that the game isn’t fun, for what it lacks in challenge it more than makes up for with charm. There are around forty stages to get through (including bonus stages that are unlocked by finding hidden switches in the normal stages) and these are all well designed and varied. Playing through the game will be sure to bring a smile to your face, and solving the game’s puzzles and finding the jigsaw pieces that make up unlockable artwork will be sure to keep you rather busy – with multiple playthroughs of stages required if you want to see everything the story has to offer. If you fancy a breather from the Story mode, there are also a range of mini-games and additional modes for you to sink your teeth into – some of which are only available once you’ve seen the end credits. You could argue that the game really comes into its own once you’ve beaten the story. The Ultimate Choice is an arena mode where you will earn points by beating bosses – with bonus points added if you are swift in battle. There are various difficulty levels to choose from in this mode, with more points earned the higher the challenge. 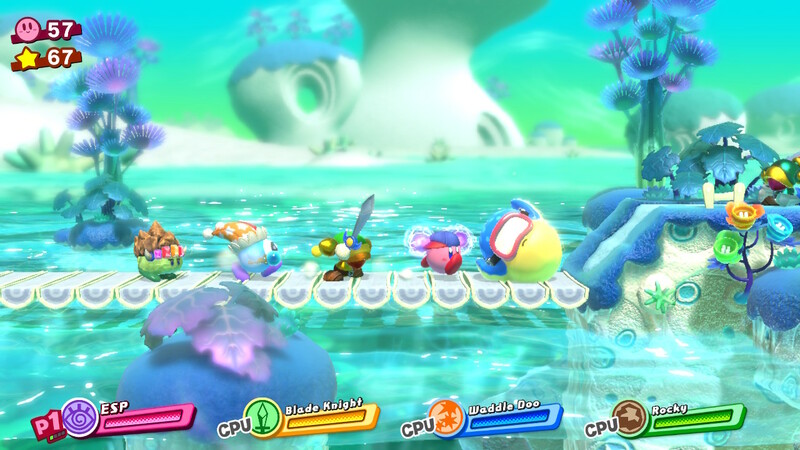 Alongside this, there is a time-attack mode that takes Kirby out of the action – shining the spotlight on the allies that you will be familiar with from the story mode. This mode features plenty of power-ups that boost your speed, health and attack power, and is a great way for you to retread familiar ground with an assortment of allies of your choosing. The other two modes are not as in-depth and are more like mini party games for you to play with friends. There is Chop Champs, a tree-chopping challenge that tasks up to four players with seeing who makes the best lumberjack – chop the most wood within the time limit and you win. The second is Star Slam Heroes, a baseball game where you need to smash a meteor as far as you can. Both of these games make excellent use of the Switch’s motion controls and are will be great fun to break out when you have friends round or for playing with your kids. The only downside here is that the novelty wears thin a little quick – but it is all good fun while it lasts. 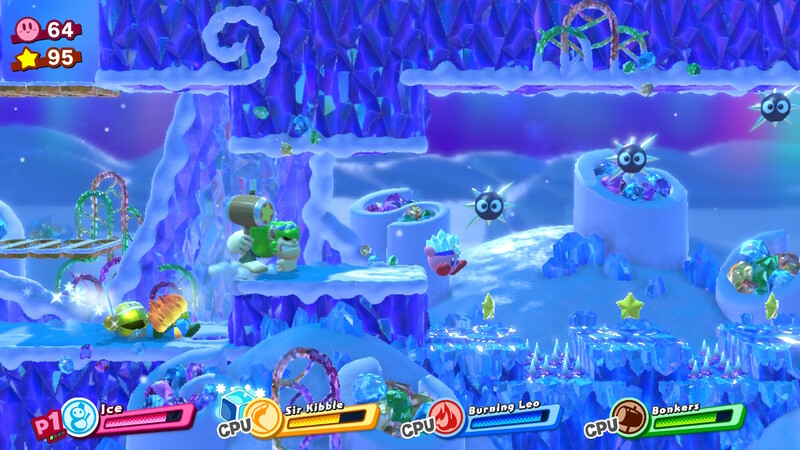 As with most first-party Switch games, Kirby Star Allies is a looker. There were complaints from some who played the demo about the game’s framerate, but does it really matter? 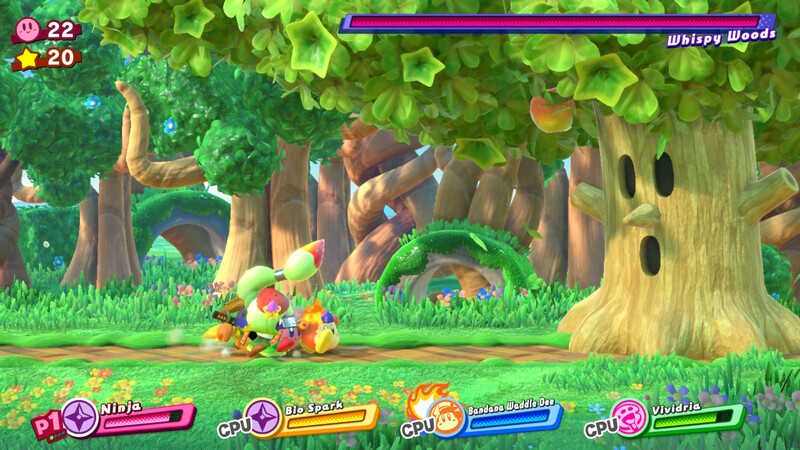 The game looks great and runs like a dream – even when things get a little hectic on screen during boss battles. I played most of the game in handheld mode and was really impressed with how crisp, vibrant and colourful each of the worlds looked. The soundtrack is equally as good, with lots of pleasant, uplifting tunes that you can’t help but hum along to as you joyfully jaunt through the game. 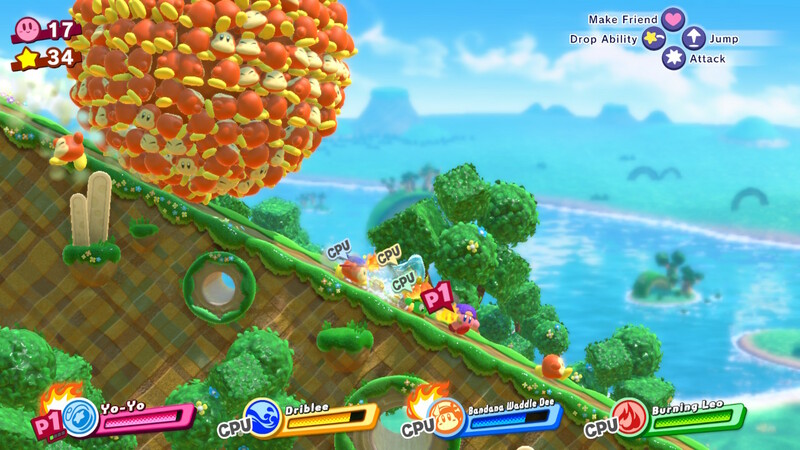 All of the first party offerings so far on the Switch have been excellent (well, maybe not 1-2 Switch) and Kirby Star Allies is in no way a bad game but it just falls a little short of the precedent set so far by Nintendo. 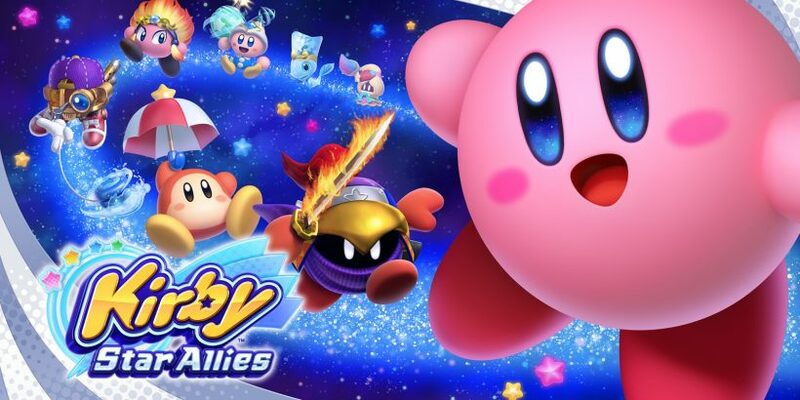 This game is perfect for the younger Nintendo Switch gamer and older players will find enjoyment with Kirby but will probably rue the lack of challenge on offer here. 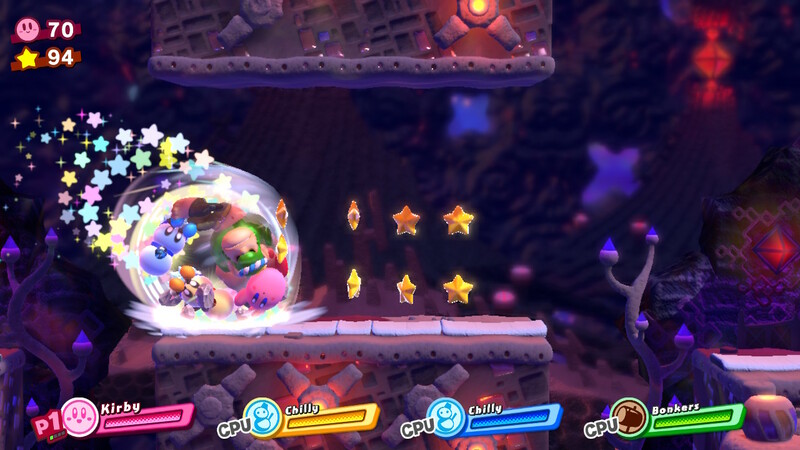 Kirby Star Allies sees the pink resident of Planet Popstar debut on the Nintendo Switch in a game that is fun but somewhat lacking in challenge. If you are looking for an entertaining platformer that can be enjoyed by all the family then this game is the perfect option. 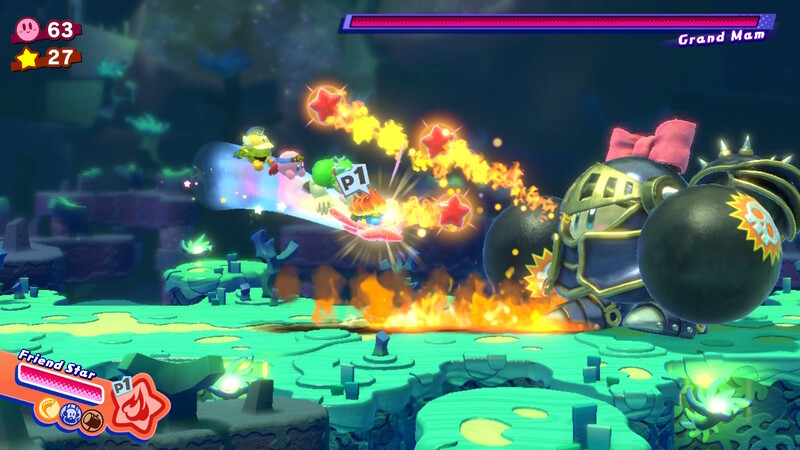 The Nintendo Switch has been a haven for some of the greatest, taxing indie platformers recently – Kirby Star Allies provides a pleasant palette cleanser for both young and old to enjoy.